Superdry men’s All Work Heritage Classic t-shirt. 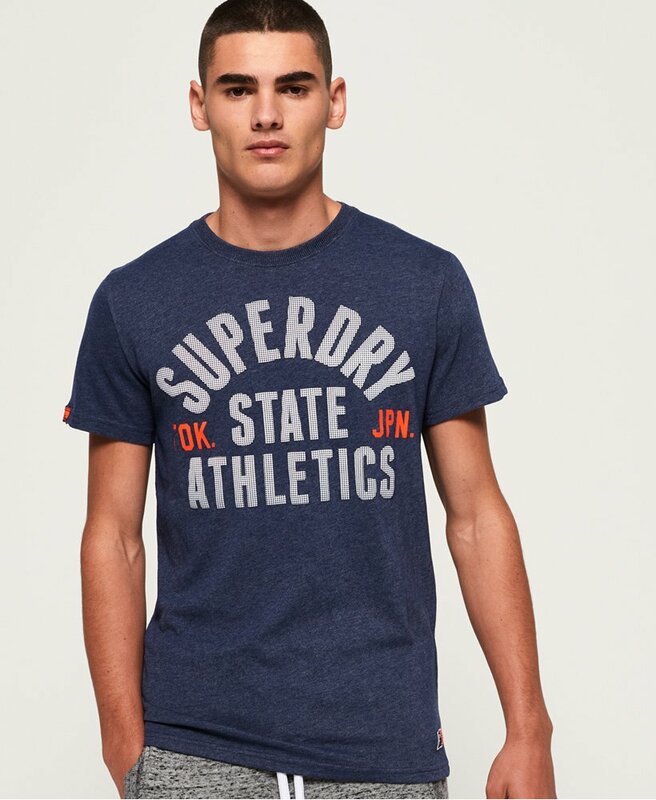 This crew neck t-shirt features a large, Superdry Athletics graphic across the chest and is finished with a Superdry logo badge above the hem. Wear this t-shirt with your favourite jeans and trainers for a casual look.